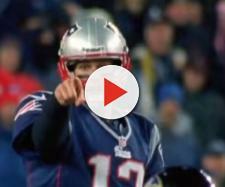 Mike Felger of 98.5 the Sportshub declared the team dead in November; eating his words now. Revenge is always a dish best served cold. Or in the Boston Bruins case, scorching hot as they roasted a local radio host who too quickly predicted their demise. Back in November, radio host, Mike Felger of 98.5, the Sportshub was somewhat gleeful in what he thought was going to be a lost season for the Bruins. The team was too young. They veterans were too old. Everyone had lost a step. They didn't have an elite goalie in Tuukka Rask any longer. The list of reasons why the Bruins would mail it in this year seemed long enough that Felger may be correct. Thankfully, no one told the Bruins players themselves as they became the third team in the league to clinch a playoff spot. [VIDEO] They also have a shot at winning their division over the final few weeks of the season. A lost season this is not. Now that they have clinched their playoff berth, the team is beginning to advertise playoff tickets. The manner in which they chose to celebrate their team has a few feathers ruffled over at the radio station. Listen for yourself. The message is clear, this team listens to no one outside of the organization. But that is not to say they don't hear some of the things being said about them. It is only natural to want to defend your honor when challenged. Calling a team out like that just a few weeks into the season was taken as a slap in the face by many. A little dancing on the grave was to be expected, but the creativity of the Bruins social media is top notch. The same can be said about many NHL teams and their social media personnel. The NHL seems to have the ability to induce some truly laughable content, without going over the line. Naturally so, the target of the video, Mike Felger, is none too pleased. He ranted and raved on his afternoon radio show yesterday about how unprecedented it was for a team to call out a media personality. He seems to forget what happened last time the Bruins won the Stanley Cup though. After thoroughly bashing the team throughout the year, Felger was the target of Bruins vengeance. Veteran Shawn Thornton took the opportunity of becoming champion [VIDEO] to remind Felger on tv of his lack of support for the team. Thornton's words were icing on the cake after a stunning Stanley Cup victory. If the kids this year can pull off a similar feat, we may once again hear some good old fashioned ribbing of those who doubted them. The hot takes aren't so hot once they turn out to be completely false.